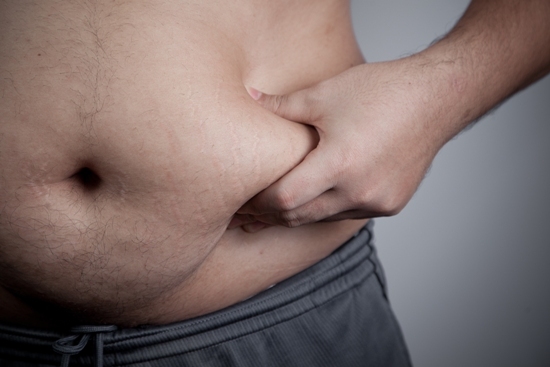 Johan Jeronimus, an Ealing chiropractor at Neuroworks Chiropractic says that an expanding waistline is a problem that many men experience as they get older. We have hectic and often stressful lifestyles, jobs that are demanding mentally but have us sitting at a desk all day. When we get home, we are too exhausted to exercise and opt instead, for a few beers or glasses of wine to unwind. We are too tired to cook a meal after a long day and, too often, opt for a takeaway or ready meal instead. He adds though, that this year’s ‘Men’s Health Week‘ really is a ‘wake-up call’ and urges men to check their waist measurement (at belly button level). The headline message for Men’s Health Week that runs from 12th – 18th June in 2017 could hardly be more arresting! Even worse, your Ealing Chiropractor points out that an enlarged belly increases a person’s chances of premature death – whatever the cause! All the health risks Johan highlights are good reasons to do something about belly fat and your overall health. You will look better, feel better and, if you follow his tips below, small changes can bring some great results. First, here are some suggestions you can begin today to improve your diet nutritional intake. Read food labels carefully to ensure that you are avoiding damaging trans fats. Incorporate polyunsaturated and monounsaturated ‘healthy’ fats. Add more fruits and vegetables to your diet and use these to fill up your plate! Try swapping to a smaller sized dinner plate to help you reduce the portion size of your meals. Your Ealing Chiropractor can help you with advice on diet and nutrition and, supplementation if this is appropriate for you. Consider a check up with your Ealing Chiropractor before you begin an exercise program too! Poor posture from years of sitting at a desk or workstation and biomechanical joint and soft tissue problems we don’t even realise that we have can cause problems with aches, pains and injury when we start to become more physically active. To avoid being ‘sidelined’ almost before you start, it is worth getting problems that can be sorted out with gentle Chiropractic adjustments, dealt with. Activities that you enjoy will be ones that you can stick too. Your Ealing Chiropractor can help you with realistic fitness goals. Johan’s advice is to avoid boredom by doing more than one activity. Don’t just head to the gym on your own, get a fitness buddy, join a group class or, if gyms are not your thing, join a walking or cycling group, take the stairs more often and take a walk at lunchtime. With a little thought, it is easy to come up with ideas to be more active that fit in with your existing lifestyle and do not cost a fortune either! It is time to take action if your waist measurement has grown! For more advice on the exercises that would be most appropriate for you, please call your Ealing Chiropractor on 020 8566 3757. Neuroworks would like to make clear that they are neither affiliated with, nor endorsed by the organizers of Men’s Health Week organizers, Men’s Health Forum.